Come and cuddle with Wash and Kaylee! That’s right, two days before our glorious event we still have more awesome announcements for you! Here is another hand crafted goodie that will be available in our raffle and silent auction. 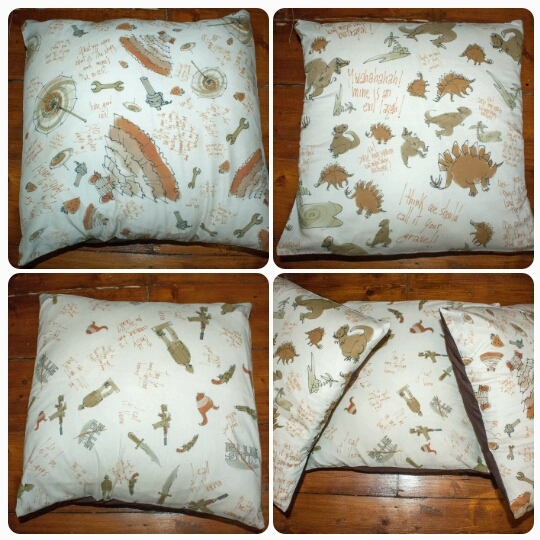 These beautiful cushions are made from Kaylee, Wash and Jayne themed fabrics and will look fantastic on you sofa or favourite chair. Don’t miss your chance to own one (or all?) of these beauties!